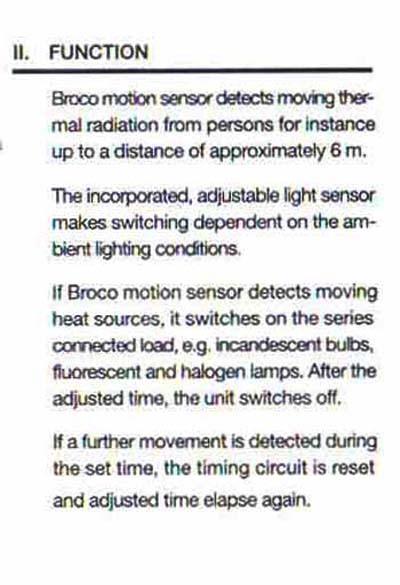 Broco motion sensor is a flush mounted motion detector for indoor use, which detects the thermal radiation from moving heat sources. 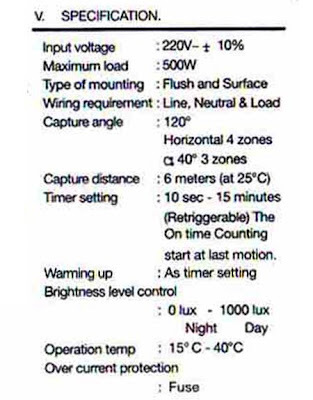 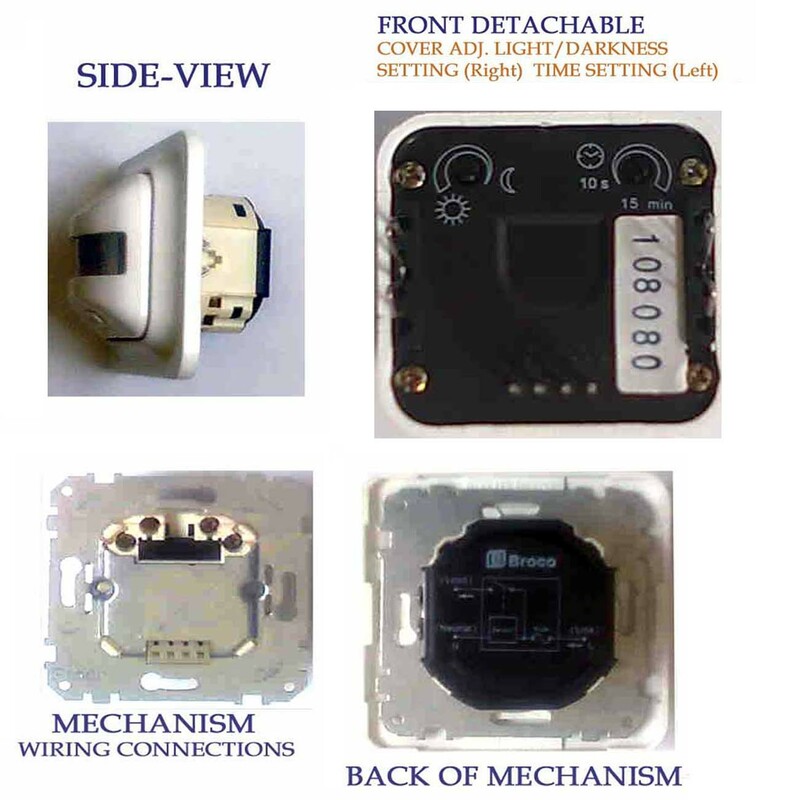 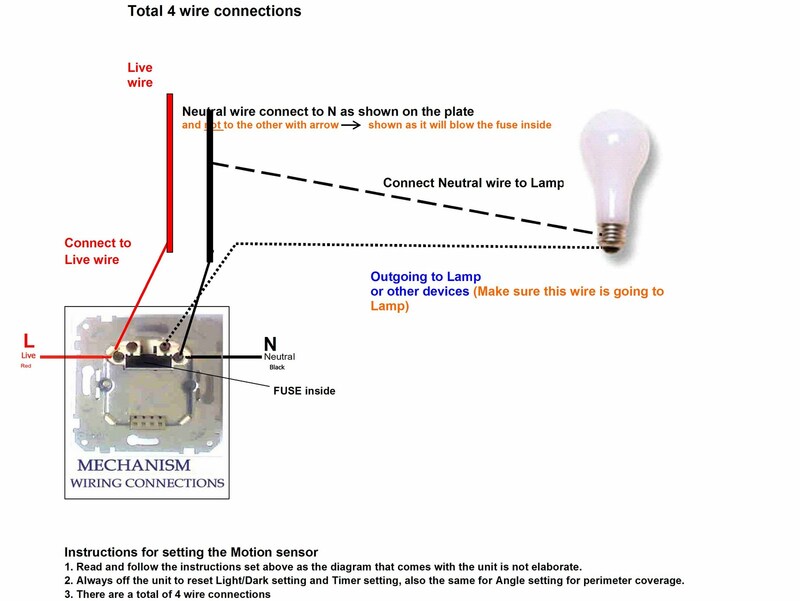 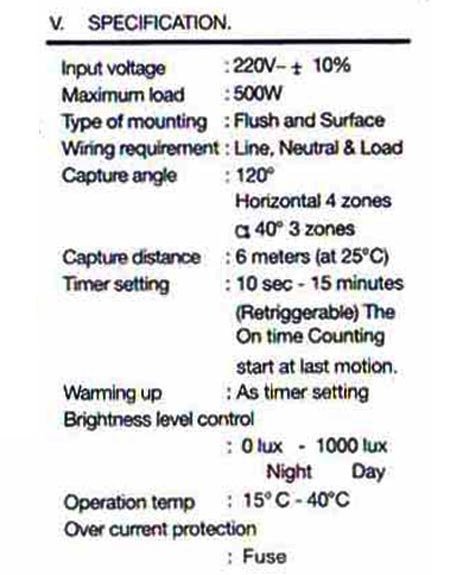 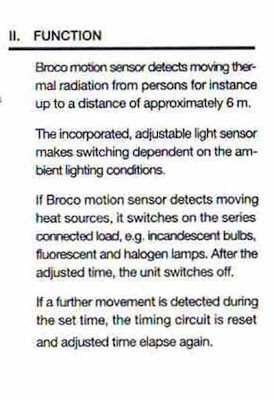 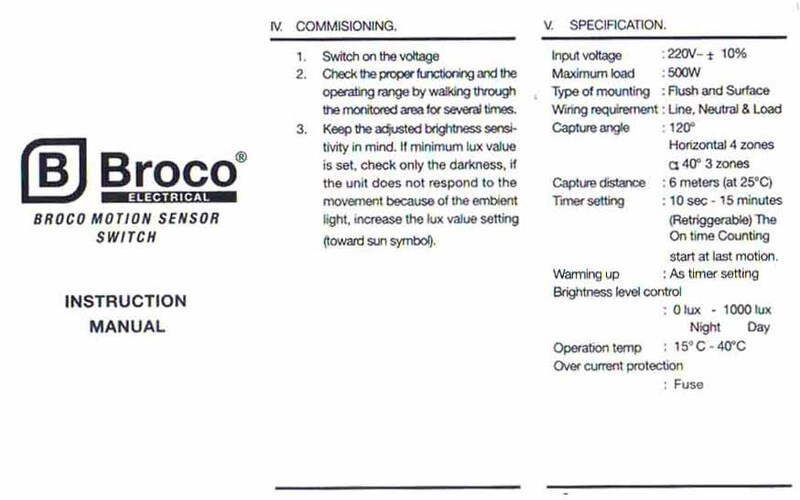 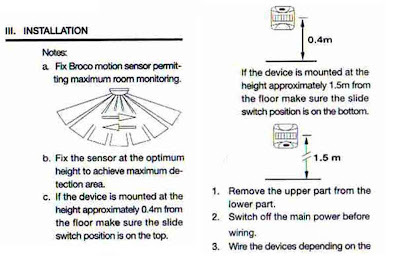 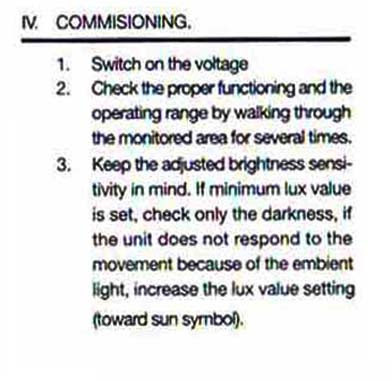 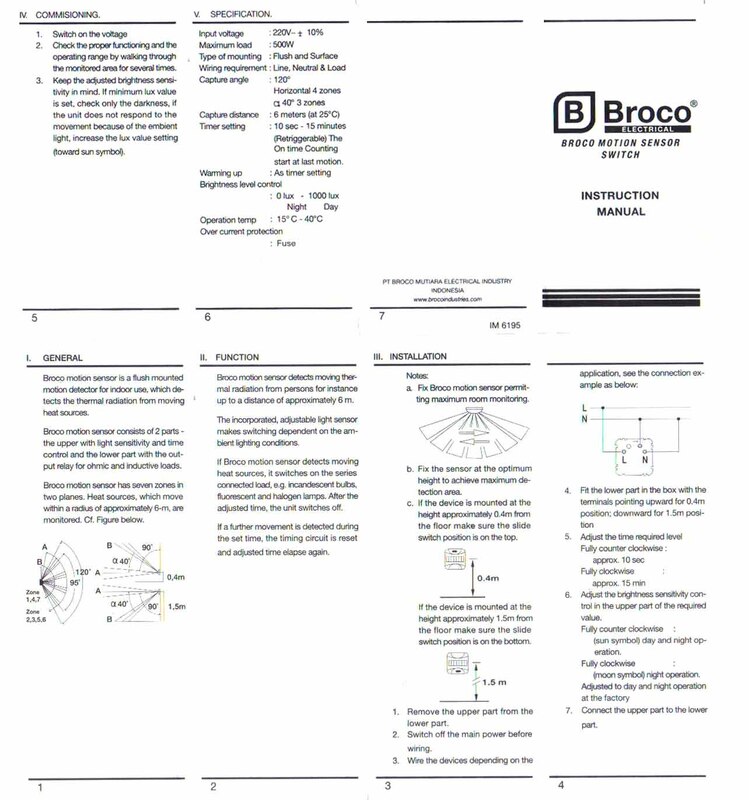 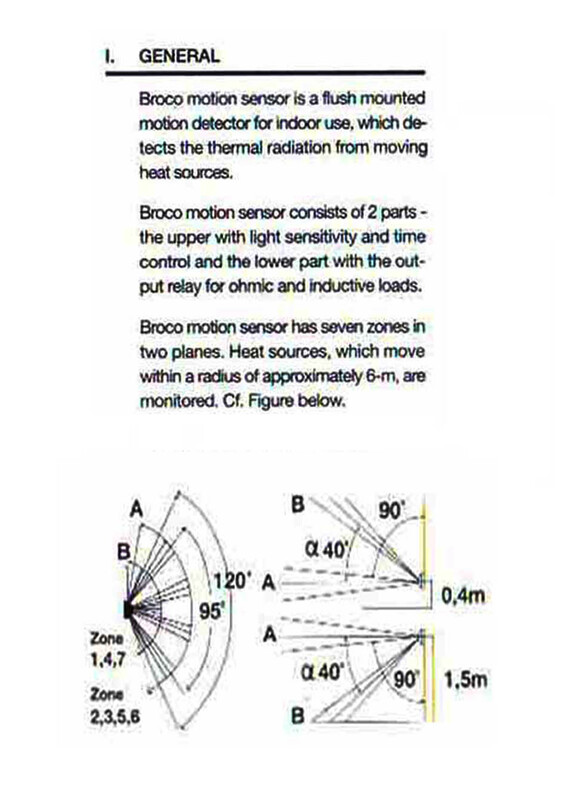 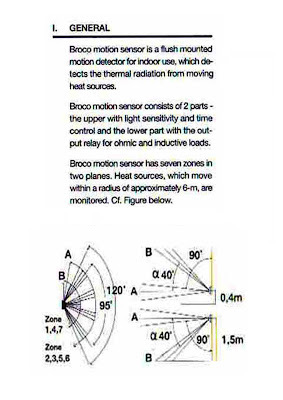 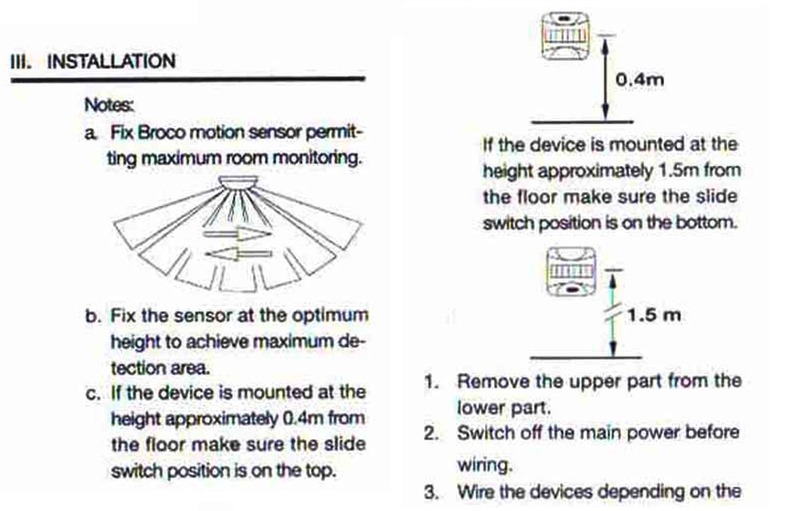 Broco motion sensor consists of 2 parts: the upper with light sensitivity and time control and the lower part with the output relay for ohmic and inductive loads.Broco motion sensor has seven zones in two planes and heat sources which move within a radius of approximately 6 m, are monitored. This motion sensor is surface wall mounted like a wall switch, but you can adapt it for use to other applications, like ceiling mounted - just add a L-metal or plastic plate (bracket) to surface mounted box. 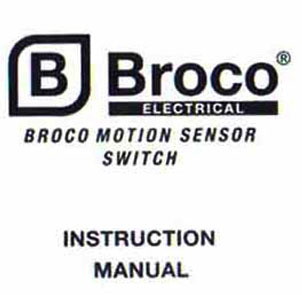 to produce under Broco brand) - check out Merten products and prices. Normal Price: RM150.00+Item will be tested before shipping. 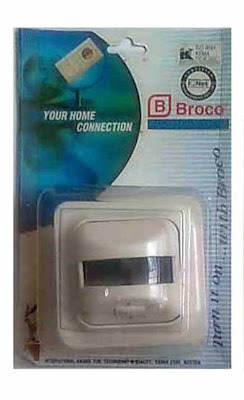 Free Delivery for KL and PJ areas after payment made.